Kevin is a shareholder, member of the Gallagher & Kennedy board of directors, and head of the firm’s litigation and public bidding and procurement departments. He is keenly attuned to the needs of his clients, developing strategy and implementing solutions that are singularly focused on their goals. Over his 30 year career, his litigation skills have been honed to a razor’s edge, and his civil litigation experience is extensive and far reaching, both in and out of the courtroom. Kevin has managed many high profile and complex matters, including securities, commercial, environmental, governmental, construction and insurance litigation cases. He has significant class action and appellate experience. Kevin has vast experience representing public and private companies across a wide range of industries. His career is deeply rooted in Arizona, but he is routinely engaged to manage multi-million dollar cases throughout the United States. 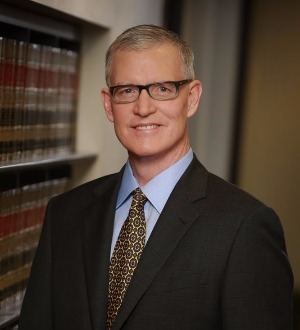 Recent honors include recognition in 2013 by Best Lawyers in America as “Phoenix Litigation Municipal Lawyer of the Year.” He has been named a Chambers USA Leading Lawyer for 10 consecutive years, and recognized from 2007 to the present by Southwest Super Lawyers. Kevin is widely known within the local and national legal communities for his depth and breadth of experience and consistent track record of success. Among his clients, he is known to be attentive and responsive from start to conclusion of any legal matter. He has successfully represented clients in cases ranging from trade secret and fraud claims, to large-scale environmental compliance matters. He has led his clients to success in technology matters, construction and insurance disputes, government affairs and other business disputes, litigating aggressively when necessary and pursuing settlement when deemed to be the superior course for his clients. Representing SSP America, Inc. in a bid protest administrative proceeding and companion state court litigation. SSP was recommended for award of a contract to build-out and operate restaurants and bars in Terminal 4 at Sky Harbor International Airport in Phoenix, Arizona. The projected value of the airport food and beverage contract at issue over a 10-year term is approximately $700 million. Prevailing at every stage of the administrative process, the Phoenix City Council was persuaded to reject the protest and award the contract to SSP. Further, the court was successfully convinced to deny the disappointed bidder’s request for an injunction to prevent the award of the contract, to dismiss the litigation, and to award SSP its attorneys’ fees. Representing a national home builder which had entered into a Joint Development Agreement (JDA) with other developers to provide a funding source for offsite improvements, specifically a sewer system, to prepare the parties’ land for residential development. When certain parties to the JDA failed to meet their obligations in the JDA, arbitration ensued and the Arbitrator awarded damages with amounted to a total recovery and award of approximately $3 million. Representing the former Director of the Arizona Department of Transportation in litigation challenging the department’s Disadvantaged Business Enterprise Program relating to highway construction. After lengthy proceedings, the case was dismissed and the dismissal was affirmed by the United States Court of Appeals for the Ninth Circuit. Representing the target judicial officer defendant in litigation raising the issue of the applicability and scope of absolute judicial immunity in a multifaceted attack on Maricopa County’s probate court system, prevailing on all claims plus an award of attorneys’ fees. Representing a prominent national law firm in class action federal and state securities litigation. Representing Henry Schein, Inc., one of the country’s largest medical products distributors, in litigation filed by McKesson Corp., a Fortune 25 company. McKesson asserted trade secret and various contract and tort claims based on what McKesson claimed was improper conduct by a salesperson, Carmen Caccavale, who left McKesson to work for Henry Schein. McKesson was represented by the national employment firm Ogletree Deakins. After more than three years of litigation, Gallagher & Kennedy, having prevailed on all of McKesson’s claims, went to trial on a counterclaim for abuse of process on behalf of Henry Schein and Mr. Caccavale. The case was tried to a jury in U.S. District Court in Arizona, resulting in what is believed to be the largest abuse of process verdict in the country — $11 million. See “Jury Awards $11M to Former McKesson Rep,” Phoenix Business Journal May 28, 2009. The case subsequently settled on confidential terms. Representing the State in a challenge to the decision to award a multiyear contract to provide health insurance and related services to all State employees. With annual expenditures of between $400,000,000 and $500,000,000, the health insurance contract represents one of the State’s largest contractual undertakings. Following a multiweek trial, the State fully prevailed in that case. Representing Pima County in both a class action (with eight subclasses) and a mass tort action arising from a waste water system failure in Tucson giving rise to environmental and other related claims. After extensive litigation and motion practice that eviscerated the class claims, the case was settled on a walk-away basis. Representing a gaming machine vendor seeking damages for an Indian Tribe’s breach of a lease for gaming equipment placed in the Tribe’s casino. After a multiweek hearing to retired judge Layn Phillips in San Francisco, a seven figure award was given. Representing the Phoenix area home builders association in drafting and successfully advocating for the passage of legislation concerning construction defect and homeowner association litigation. Representing a software development company in a copyright infringement action arising from the piracy of its computer code. After obtaining a temporary restraining order, the matter was settled with the entry of a permanent injunction. Successfully defending litigation arising from a golf course development involving claims related to the scope and enforceability of a right of first refusal, including partnership issues and the application of the rule against perpetuities. A judgment in favor of the defendants was affirmed on appeal. Representing a diversified regional building supply and property development firm in two distinct matters. The first involved the closure of a land fill and restoration of the leased property. Following negotiations with the lessor and affected municipal and state agencies, the matter was resolved and the property was made available for development. The second case involved claims against the developer and the design professionals of a building, which experienced settlement and resulting structural defects. Following intensive investigation, the matter was compromised on favorable terms. Representing a national home builder against a claim by approximately 75 residents alleging environmental contamination of a subdivision. Judgment was rendered in favor of the defendant-builder and the case was dismissed. Representing an international, privately-held conglomerate in multiple lawsuits arising out of the acquisition and operations of an Arizona subsidiary. Litigation involved manufacturer/distributor agreement disputes, trademark infringement, other business torts and related insurance coverage issues. Following successful preliminary injunction proceedings, favorable settlements were achieved. Representing the owners of a Riverwalk hotel in San Antonio in litigation against the property’s insurers for remediation following extensive storm damage. A multi-million dollar settlement was achieved during the first week of trial. Arizona State University (O'Connor), J.D.